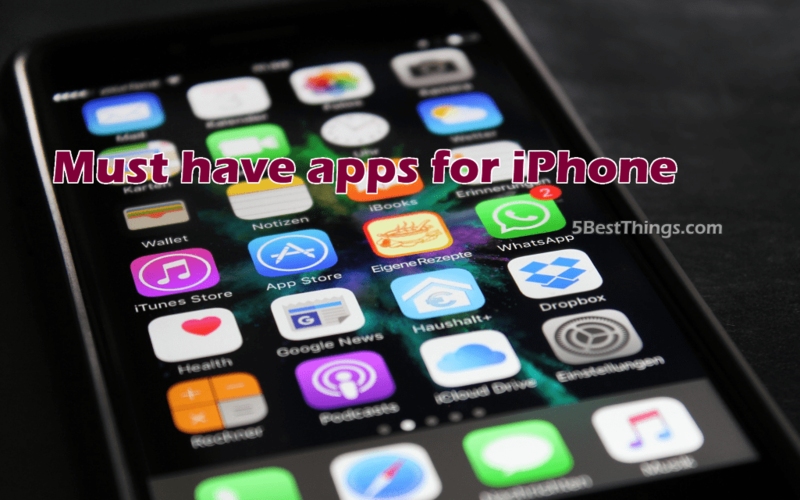 By now the market for iPhone apps has become vast and varied and you probably have locked down the apps you enjoy the most. But if you’re looking for new options, you’ve come to the right place. Every year, the apps market is flooded with new options. Some are good, some are bad and a lot of middle of the line, but which will help you streamline your day or boost your social media presence? Which will become your go to and make your day easier? Have a look through our list of the top ten must have apps for your iPhone in 2018. Snapchat may have gotten an odd reputation with its user base heavily tilted towards young users when it first came out, but that’s not the case anymore. Large companies and celebrities are now on the Snapchat craze and you should be too. 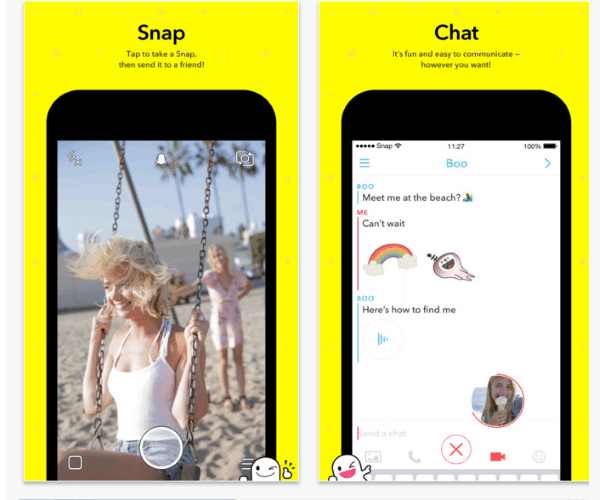 You can send individual messages or view Snapchat Stories, which contain a series of related images and clips. 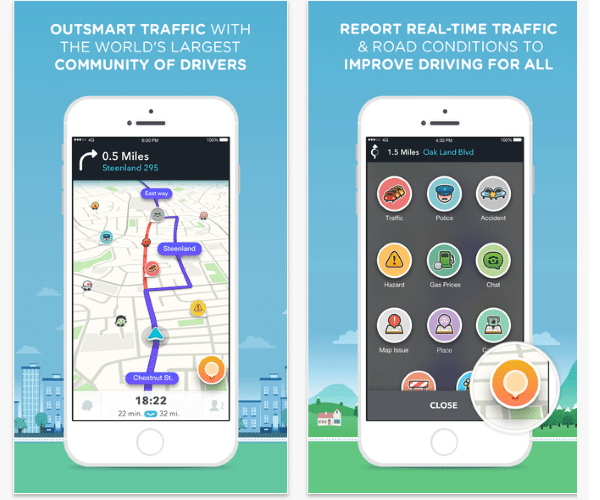 Waze is a traffic app unlike most of the others that you’ve seen. Waze uses real-time help from actual drivers to help you map the best route to get to your destination. You can be alerted before you approach accidents, police and traffic jams and community edited maps means you won’t end up turning left into a lake. With so much kept on our computers these days, the loss of that device’s information can be devastating. 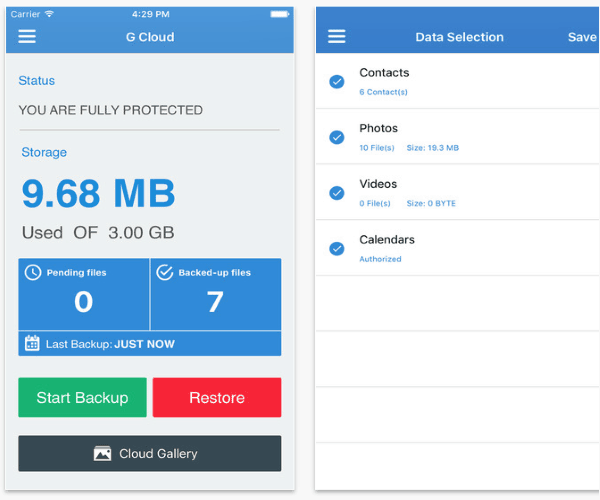 G Cloud Backup is a free backup app that allows you to protect your contacts, photos, messages and everything else important you keep on your phone. It also offers the fun service of being able to organize your memories in a timeline, so you can go back and view your first recorded call or photo. Cash is an app by Square that will make that bar tab split eight ways a bit easier on your brain. 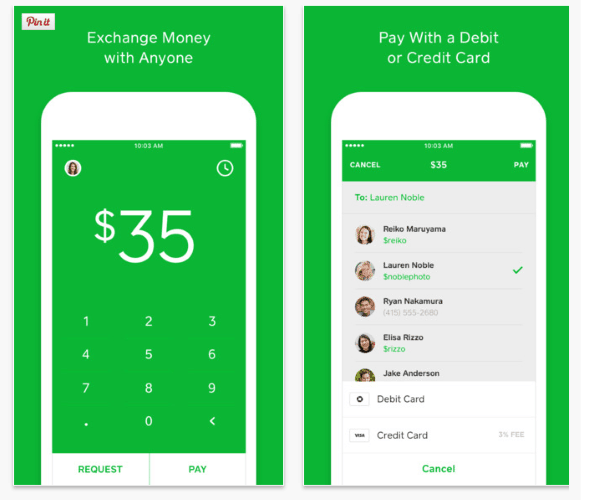 Cash is an app that instantly transfers cash between friends, for free, even between different banks. Everyone using the app will need to be signed up and have his or her debit card connected. From there, it’s as easy as a few taps on your phone and the money will automatically deposit. While Uber may be facing a bit of controversy, it’s hard to deny that the service has gained a loyal following. At some point you’ll want a cab and there won’t be any in sight, and that’s when Uber will be what you need. 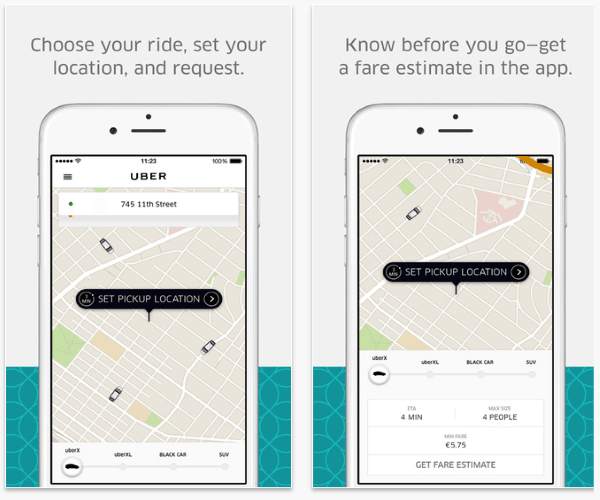 Operating in most major cities, Uber’s app allows you to book a ride to wherever, whenever. Watch out for that surge pricing though! 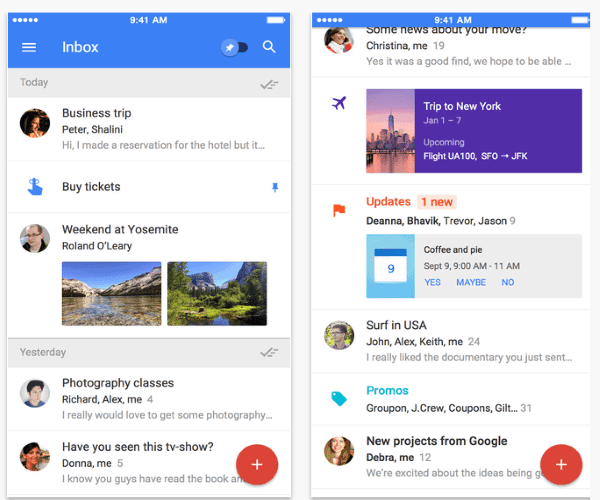 It’s a pretty good chance you’re utilizing some of Google’s nifty apps already, but if you’re a Gmail user and you’re not using Inbox, you should be. Inbox organizes your mailbox based on the types of messages you receive, which makes it quick and easy to find the message you’re looking for. You can also view other things like flight information, reservation details and delivery order updates all without opening your email. There’s nothing more frustrating that waiting all day for a package only to pop out to the store and come home to find FedEx’s sticky note on your door. Tis greaty app provides users with an address where they can have packages sent. A Doorman representative receives the package (and signs for it if need be), and then lets the recipient know it’s arrived. 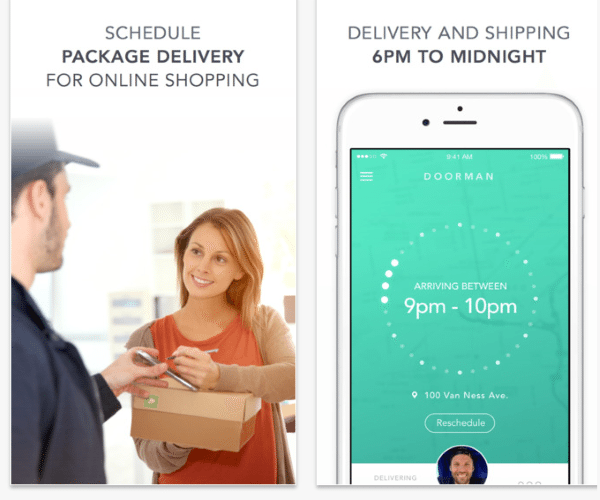 Users can then schedule the convenient delivery of their package between 6PM and midnight. Prices run from $3.99 per package to a top-of-the-line service e for $29 a month. Android users have been reaping the benefits on swipe for years now, but it’s still relatively new for iPhone users. Now that iPhone users have the ability to install third-party apps keyboards on their phones, Swiftkey is a must try. Swyping involves the ability to conveniently ‘swipe’ your finger across the keyboard over the word you need and the app uses predictive text to spell out your sentences. 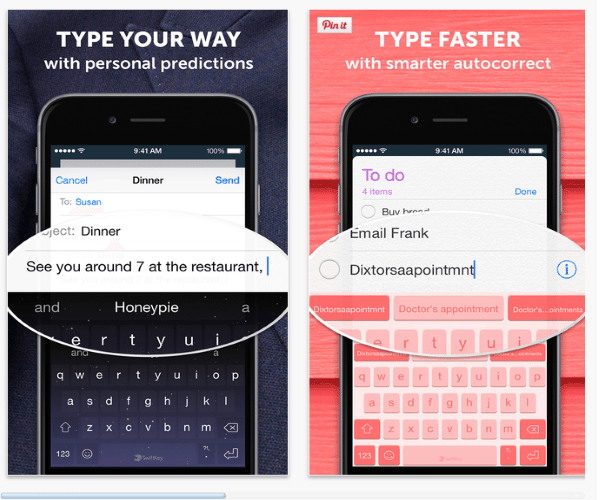 You will type faster and with fewer typos as the app learns your patterns! While the skies may be clear now, will you need your hood up in the next thirty minutes? Dark Sky knows. 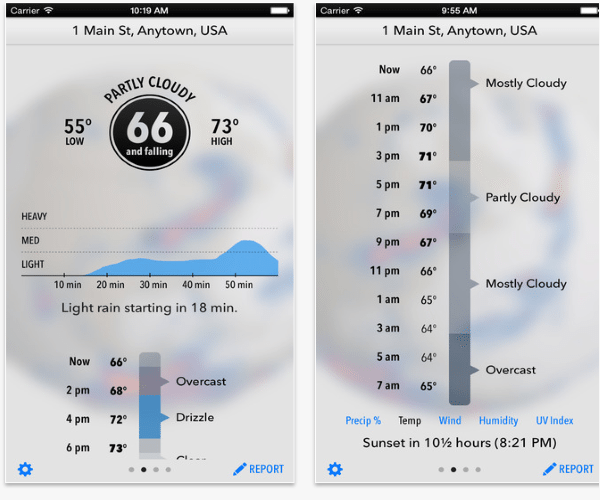 This weather app predicts weather to your exact location (not just your city), down to the minute. This app also features beautiful maps and the usual weather predictions. While it could be anight on the town or an unexpected event that has you booking last minute hotel reservations, Hotel Tonight has you covered. 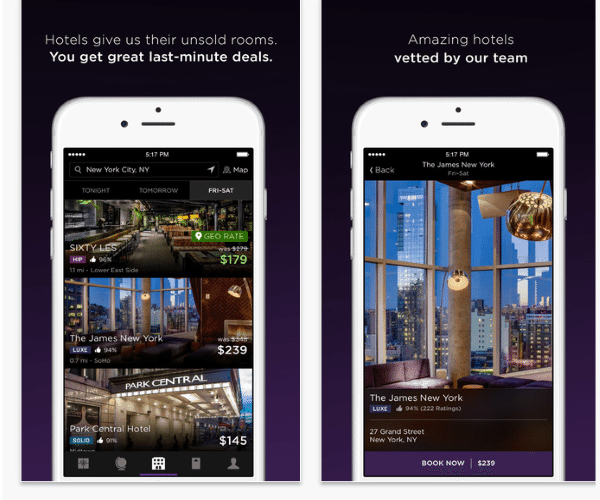 HotelTonight allows you to book a single night’s stay on your phone in less than a minute. The selection of hotels are hand-picked by the app, which helps avoid the dumpy spots, and offers selections based on the type of stay you’re looking for (basic, luxe or hip). IOTransfer is an all-in-one iPhone Manager which can manage iPhone files from computer. You can transfer all you photos, videos, music, ebooks, apps, etc. from iPhone/iPad/iPod to computer, and vice versa. 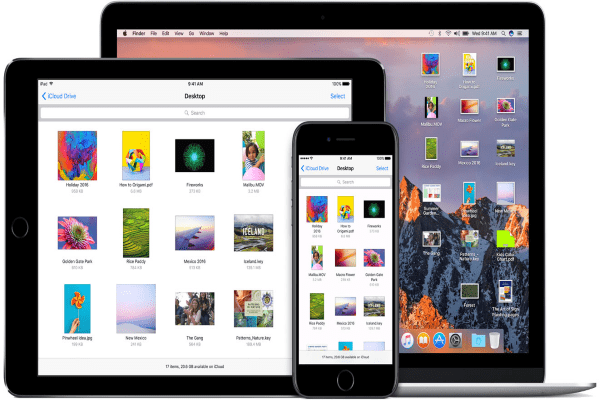 With IOTransfer, you can sync files between iOS devices without using iCloud or iTunes. It is also quite easy to bulk delete iPhone photos from computer by using IOTransfer. Download it now.